An imaginative pre-reading activity for the young children and adults. Brandon Reese’s circus animals inspire action-packed stories of adventure and mishap. Stilt-walking cats might find mischief despite the ringmaster’s best intentions. Will all be put right by the time of the Big Top performance? 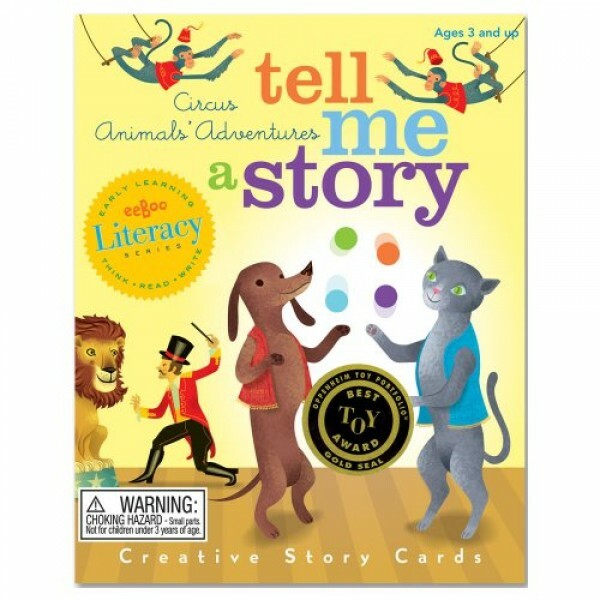 Only the storyteller knows… This set of 36 cards comes in a sliding tray box for easy storage.